YD Industries Steve Musselman was joined by YDI guest speakers Rafe Carraway and Dan “Daniel” St. Bernard as they worked with a group of close to 40 local innovators on a beautiful Thursday evening in San Francisco. 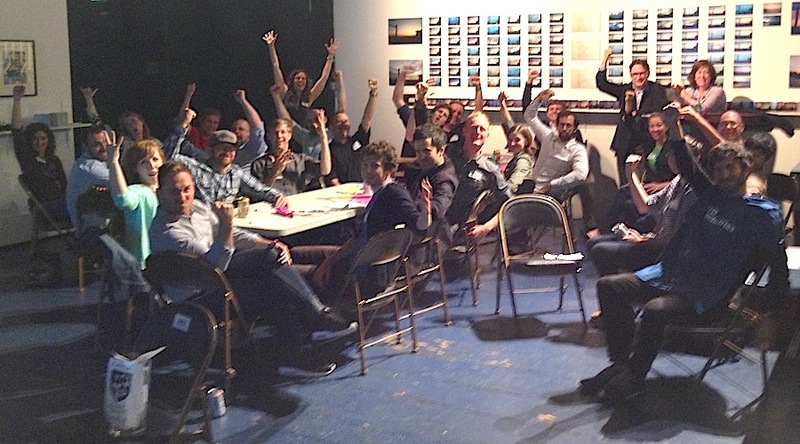 This was the second YD Industries gathering at S.F.’s Z Space as part of the YDIIIG innovation series. Working in the lobby area of the main theater, workshop participants occupied folding chairs for the first half of the evening which consisted of a focused presentation of YD Industries history and innovation methodology. Messrs. Carraway and St. Bernard brought a load of conceptual heat to the proceedings with dynamic case studies of two important YD concepts – IDACSU and PO-PO. Following an exercise where attendees got to flex their Po-Po muscles, the assembled innovators broke in to small teams to share in the innovation process. Graduates of YD Industries Innovation Thursday let a “Huzzah!” loose upon the completion of break-out sessions. Once in small teams, the groups worked furiously and narrowed their creative energies on four revolutionary concepts: Geriatric Energy Generators, Underarm bejewelment, Scented Armpit Bidets, and Sit-Up Popsicles Systems. After a truly impressive array of product demonstrations, the assembled innovators partook in cookies and beverages while networking and reliving the evening’s events with each other. Altogether, it was an inspiring evening for all, and all of us at YD Industries eagerly anticipate the accomplishments of this new batch of innovation graduates. Special thanks to the Uptown Almanac for their help in sending a few local innovators our way for the evening.